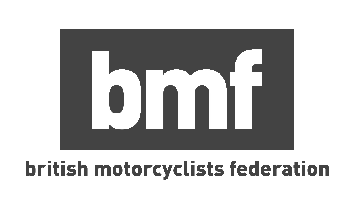 Stirling found to the North of Falkirk in between Scotland's two largest cities, Edinburgh and Glasgow is a superb location to start your journey on two wheels and take CBT Training. CBT Training Stirling is made for locals to receive the very best, high quality motorcycle training. With over 25 years of experience, RideTo's CBT Training Partner in Stirling are unrivalled in working with you to be safe on two wheels with the aim of helping you enjoy the freedom of riding the roads of Stirling. CBT Training Stirling is situated North of the town centre, next to Stirling Castle and a short 10 minute walk away from Stirling rail station. Practice around the country roads around Stirling and the busier town centre to train on the mixture of roads that you will experience as a new rider. CBT Training Stirling supplies areas; Dubblane, Bannockburn, Alloa, Doune, Gargunnock and Cromlix. Taking your CBT Training can be a daunting task, so at RideTo we have put together ourbeginners guide to getting your motorcycle licence, a new riders checklist and the most common questions about the cbt test. RideTo has over 100 CBT Training locations in the UK and if taking your CBT Training or full motorcycle licence in Stirling is not appropriate for you, then consider our nearby locations: Falkirk, Glasgow and Edinburgh.